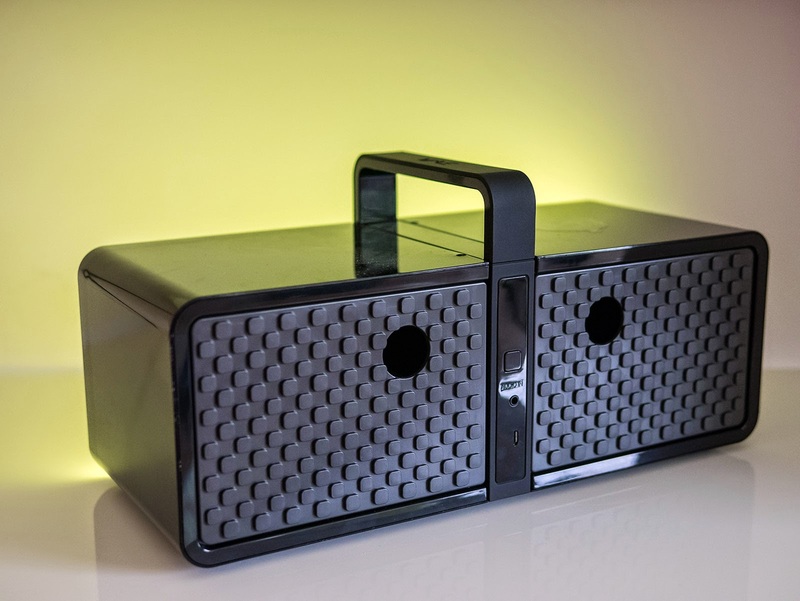 Oluv's Gadgets: Review: Hercules WAE NEO - take the Disco with you! Review: Hercules WAE NEO - take the Disco with you! Recently I received an intriguing funky speaker called "WEA NEO" from Hercules which is a sub-brand from the french company Guillemot. 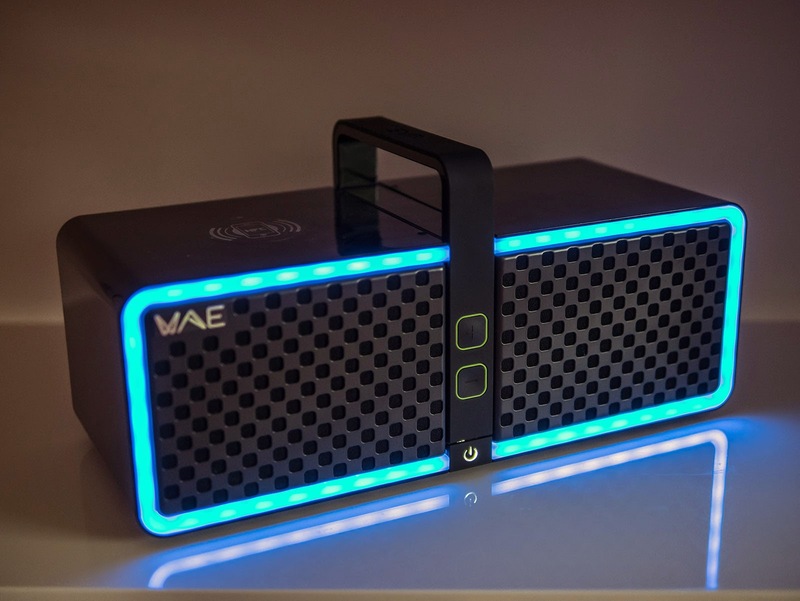 WAE stands for "wireless audio experience" and represents a whole line of different wireless/Bluetooth speakers, the WEA NEO being the top model of the whole line. Although I was aware of the brand before, I must confess that I haven't heard any speaker from Hercules yet. Now this has changed and I would like to show you where this speaker "shines" in the truest sense of the word. 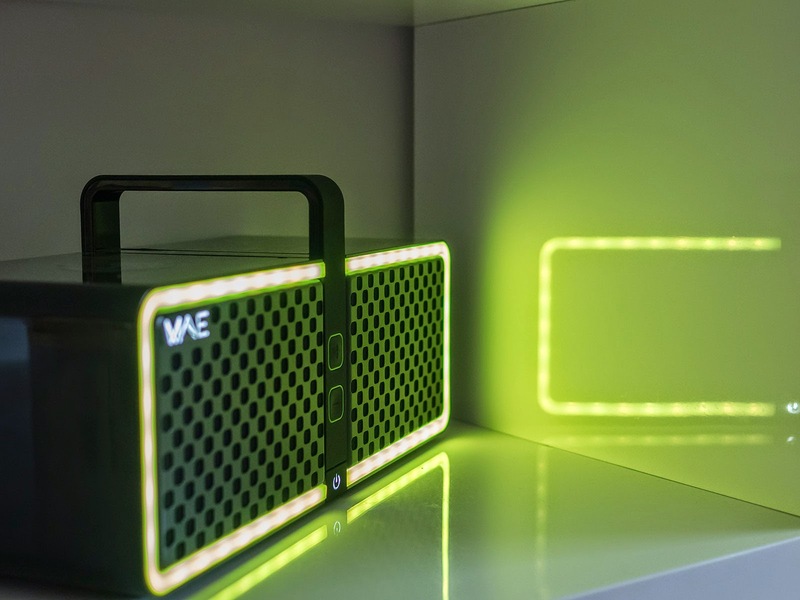 The WAE NEO is a portable Bluetooth speaker with a built in rechargeable battery which should allow 8 hours of running time with the light effects enabled. Yes, the obvious highlight of this speaker are literally the built in lighting effects, more on that later. Without lighting effects the battery is even rated for an impressive 15 hours, although I doubt you will reach this at higher volume levels. The WAE NEO is not really small, as it has nearly 6 litres of cubature which makes it about the size of an average bookshelf speaker. The amplifier is rated for 15W with 30W peak. This might appear a bit on the low side regarding the size of the speaker. Thanks to the built in carrying handle the WAE NEO is nevertheless not too heavy to transport, so if you don't mind the larger size, it should be still pretty portable as it only weights around 2kg. The speaker comes with an own 5V 2A charger as the only accessory, but as it takes Micro-USB it could also be recharged from any USB-compatible power source, which is a good thing, because you don't need any additional chargers when on the go, or might even use some portable powerpack, that are usually quite common with 5V output. The WAE NEO should cost around 199$/€, this puts it on the same level of some other popular albeit smaller speakers like the Denon Envaya, Bose Soundlink Mini etc. The design of the WAE NEO is pretty elegant and simple at the same time. Maybe I would have preferred another more decent looking grille-pattern, but it surely might appear more trendy or youngster-like as is. 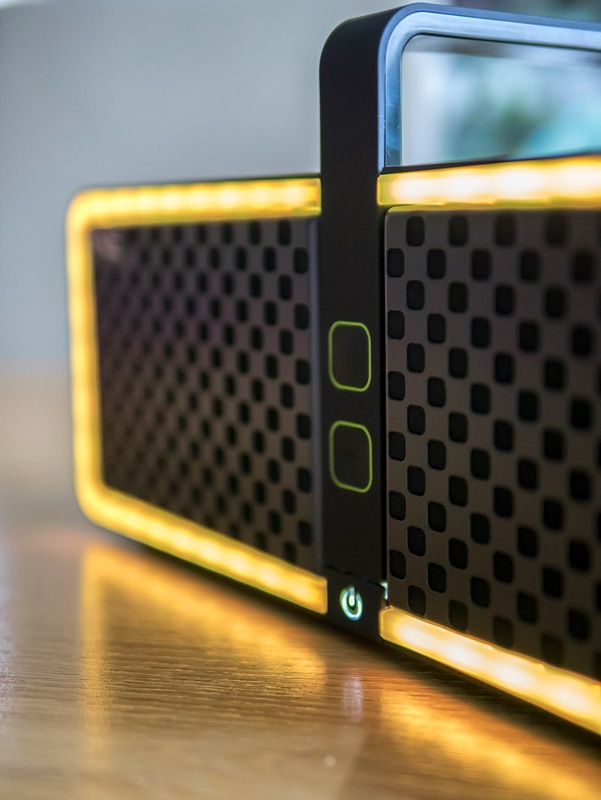 At the front there are the main controls consisting of a power button and the volume buttons and the entire edge of the speaker is framed by the LED-strip, which is responsible for all lighting effects. The power-button will light up too when turned on, and indeed every kid should be able to use it. At the back you will find the same front-pattern taken up as further design element to pimp up the backside of the speaker as well. Many speakers look pretty dull or even ugly from the back, the WAE NEO manages to look appealing. Apart from that there is only a single additional pairing-button and the ports for charging and plugging in external sound sources through the 3.5mm input. The build quality is nice, although you won't get any premium feel. Unfortunately most of the body is made of glossy plastic thus might scratch easily when used under heavy conditions. The WAE NEO seems to feel rather comfortable at home on a shelf than outside at a beach party. At the top is a temporary sticker which indicates the area for NFC pairing, otherwise you have to manually pair by keeping the Bluetooth button pressed at the back, then the LEDs will start flashing to indicate the pairing procedure. Thank godness the speaker doesn't play any unwanted sounds or beeps when turned on or when pairing is successful. It only starts making noise when you ask it to do so, unlike many other speakers which play either embarrassing hiphop-beats or annoying tones. The clue of the WAE NEO are definitely the lighting effects that can act as a kind of disco light. 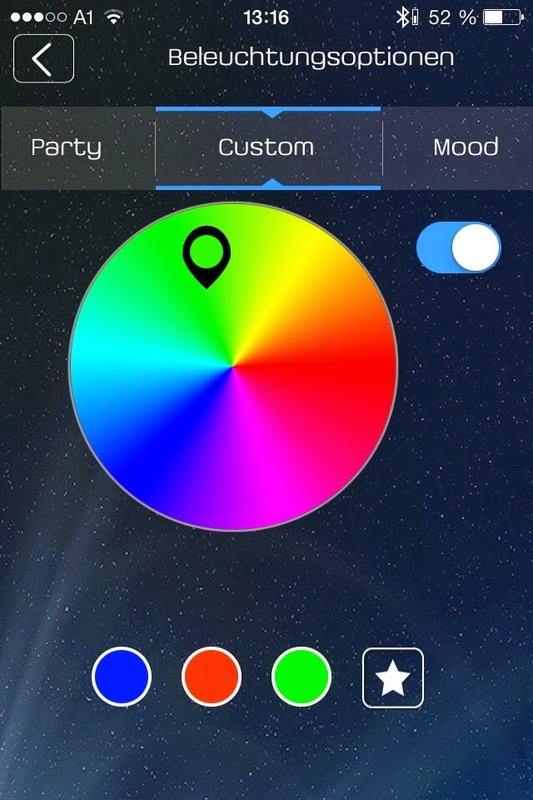 The LEDs are fully customizable through an own free iOS app which is also available for Android devices. You can either let the lights pulsate with the music, or keep them on steady, you can of course change the colour manually, or let it change automatically. The LEDs are claimed to allow for 16 million colours, if one is really picky about catching the exact hue to match it with the curtains. I am not so sure about the 16 million colours though, as I haven't managed to setup any real red with my unit, although it definitely shined in red too with the other automatic modes, it didn't want to when setup to "mood"-mode, which lets you define a steady colour, I only managed pink or it directly jumped over to orange or purple as you can see in the image below, maybe a software bug? Also color-jumps seem quite rough, so in reality it didn't seem to me like 16 million colours, but rather some hundret maybe. 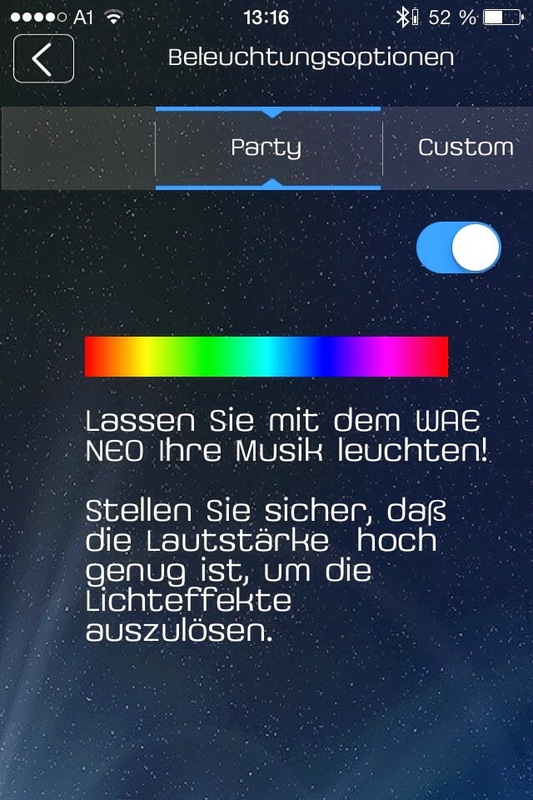 To make the light pulsate in sync with the beat of the music you must be in "party" or "custom" mode and a particular loudness level must be reached. Below that level it won't work well, the light will either stay off or just flash up shortly with the loudest peaks only. The same goes for very high loudness levels which can make the light appear too steady. It would have been helpful if a kind of dynamic threshold could be defined through the app to optimize the effect. The app doesn't only control the lighting, but may also act as an own separate music player. 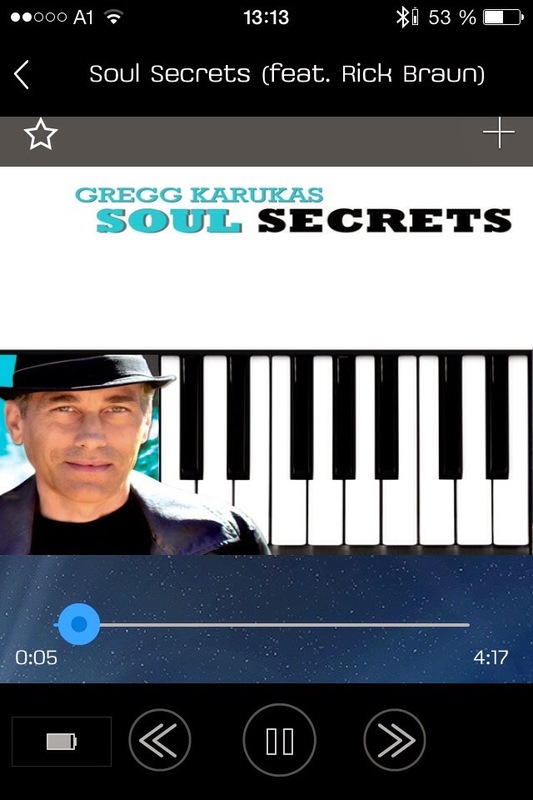 The app supports both playback of locally saved tunes and also has options to connect to an existing Deezer or Spotify account, but you can also stream music from Soundcloud for example. 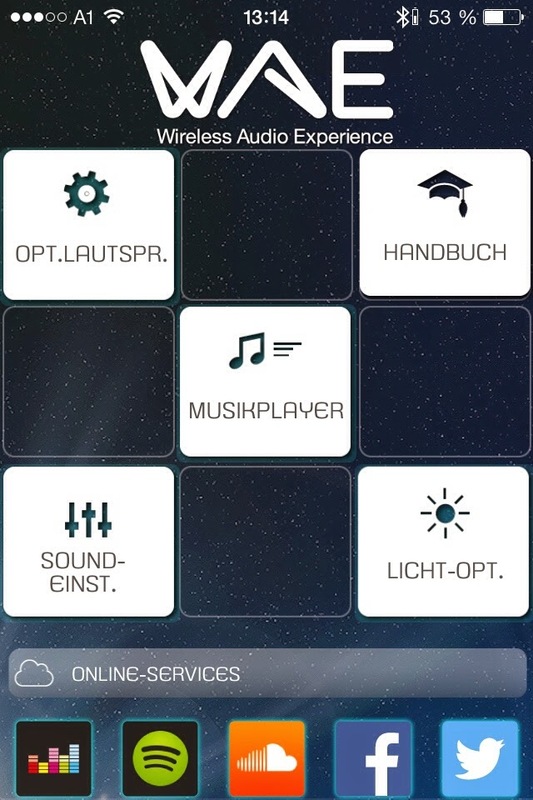 I am not sure about the use of a Facebook or Twitter connection from within the app though, but maybe some would like to share their currently played tunes immediately and post how great the speaker sounds. Finally the musicplayer also adds an own slightly unremarkable battery symbol at the left bottom of the screen, otherwise there is no other hint how much battery might still be left on the speaker. Before talking about the acoustic qualities of the WAE NEO in detail, I would like to provide some technical facts first. 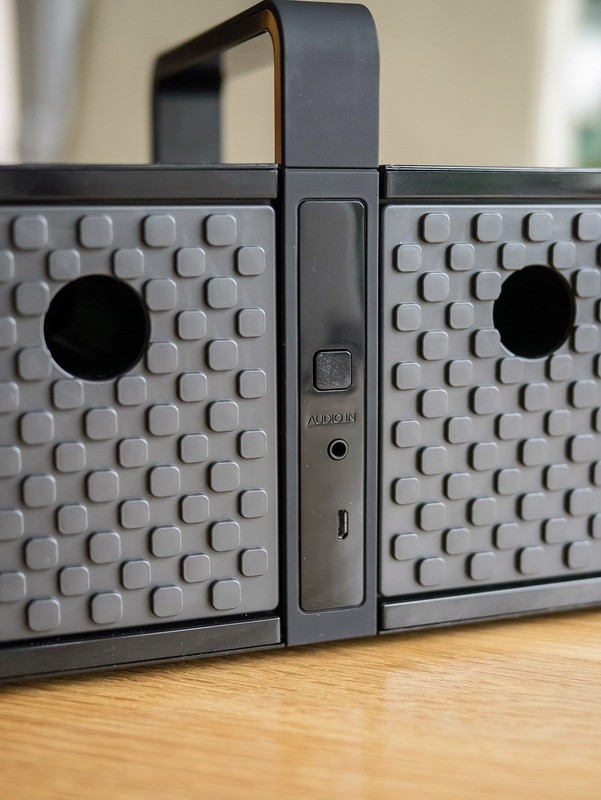 The speaker uses 2 fullrange drivers with a ported design. Both drivers seem to have an own port, which you can see at the back thanks to 2 separate openings. 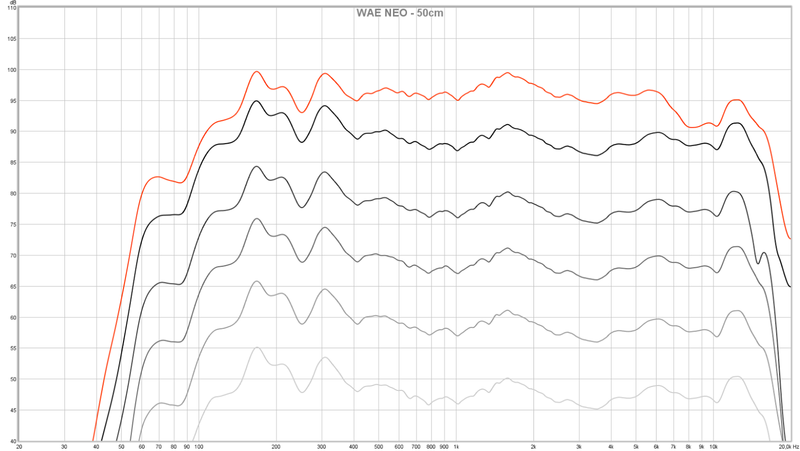 The more interesting fact is that the WAE NEO also applies MaxxAudio processing to improve on audio quality. MaxxAudio is a pretty well known and established brand in the recording and mastering industry. On the WAE NEO the MaxxAudio algorithms are not adjustable though, so you cannot hear how it would sound without any additional processing, which could be intresting. 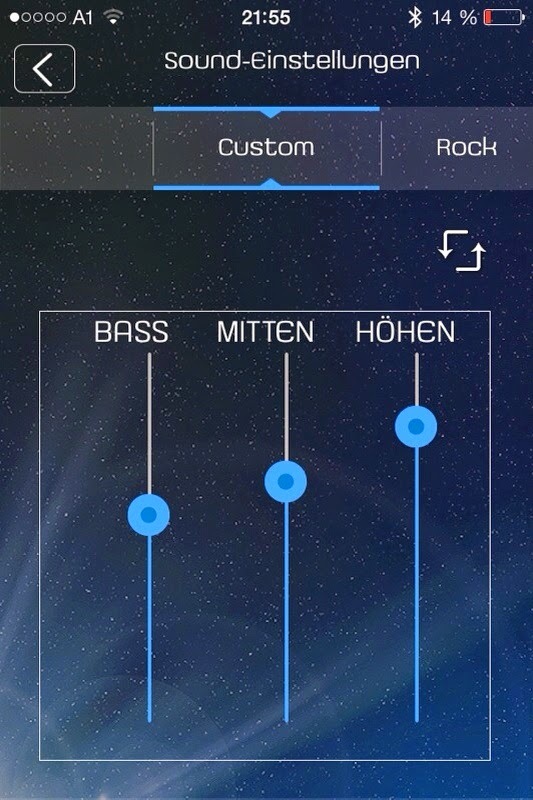 According to the specs not only MaxxBass is used, but also MaxxEQ and MaxxVolume. MaxxBass is a psychoacoustic bass enhancing algorithm which simulates deeper bass by adding virtual overtones to the original signal. Due to the nature of the human ear you should automatically hear the deeper fundamental which in reality is still missing and which the drivers physically won't be able to reproduce without distortion or overdrive. When I fooled around with this algorithm some time ago thanks to a plugin available for an older version of Windows Media Player, the effect was quite astonishing, but stronger settings could introduce artefacts. I am not sure what MaxxEQ does, but it seems to be a kind of all-in one equalizing algorithm while MaxxVolume should act as a kind of dynamic processor increasing the perceived loudness without physically increasing the actual gain. How do these algorithms sound in case of the WAE NEO? Subtle and not noticeable at all, which of course it a good thing. I haven't heard any unwanted artefacts or unnatural frequency alterations. I am not sure if the bass is more powerful because of MaxxBass than it would be without, as I have no direct comparison, but as it is now it doesn't sound bad by any means and all those algorithms seem to be tuned in such a way to prevent any unwanted side-effects which might often occur with other speakers, if you activate their magical "sound"-button or "Wow"-button or whatever, so you rather tend to keep them off most of the time. And although I would be really curious to hear the WAE NEO without any MaxxAudio processing, there is no need for deactivating it, as you shouldn't notice it at all. The sound of the WAE NEO is definitely powerful. It has a stronger bias towards bass while treble sounds a bit recessed, especially off-axis. Although the sound is not bad or unnatural, it didn't knock my socks off. 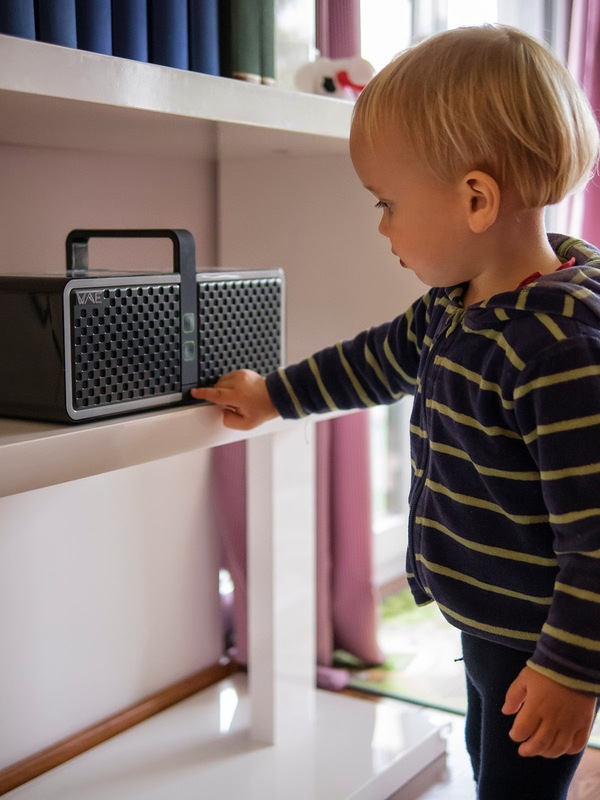 Bass is present but not very deep, at lower listening levels you won't have the impression of listening to a larger speaker, even a much smaller Bose Soundlink Mini will sound more serious with better definition in both bass and treble. The fun starts when you keep raising the volume on the WAE NEO, the louder you turn it, the better it will sound. 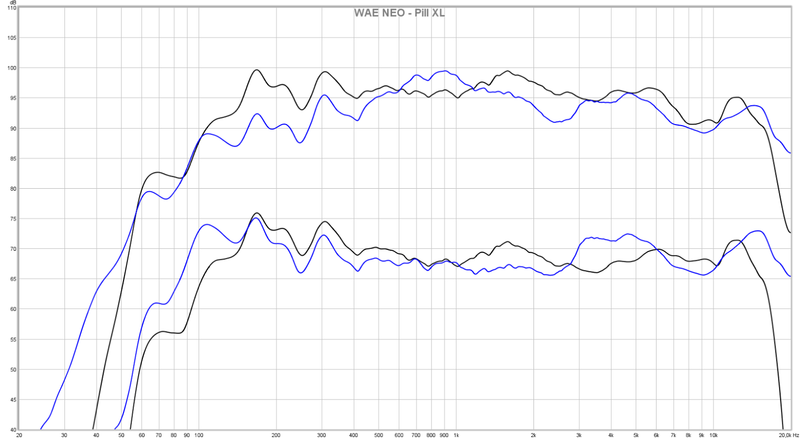 There doesn't seem to be any real dynamic equalizing applied (obviously MaxxEQ and MaxxVolume don't do any adaptive bass-compensation), thus the WAE NEO will sound equal at low levels and high levels, there is neither any bass boost at lower levels nor any stronger bass reduction at higher levels making the WAE NEO appear much more powerful at high volumes than at low volumes. This speaker is really meant to be cranked, you will probably remain quite unimpressed if you only keep the volume down all the time. The WAE NEO is not the loudest speaker I have heard, a Beats Pill XL is still slightly louder, but the WAE NEO will sound quite a bit more powerful and heavy bodied than the Pill XL when both are maxed out. There is a bit of distortion hearable at top volume especially with very bass-heavy tracks, but lower volume some notches and it should sound fine. The WAE NEO is definitely more powerful and will sound fuller at high levels than most higher priced competitors like the Bose Soundlink III, or even the fancy Infinity One. I did not encounter any obvious dynamic compression either like on most of these. Those will sound better at medium and lower levels though, but they don't have the power to keep that level at higher loudness settings. The WAE NEO has obviously a size advantage here thanks to the bigger body and bigger drivers that can move much more air. Together with the flashing lighting effects, you really get your own portable disco that can give lots of fun. Outdoors when cranked and listened from some distance you shouldn't even notice any distortion that could start creeping in. I prepared a video where I tried to compare the WAE NEO to the Beats Pill XL at higher levels, as well as when both played at their maximum volume, where you can hear the WAE NEO starting to distort slightly. 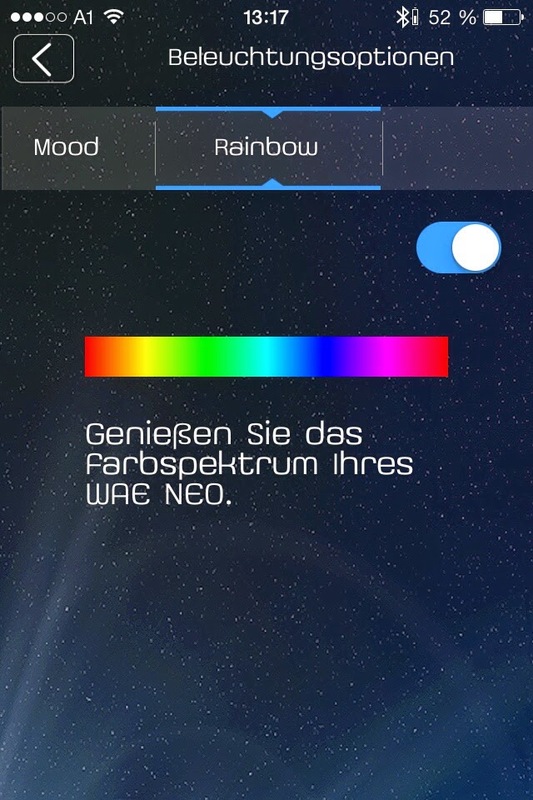 In the second half, I tried to show off some of the light-modes available through the app. Also please keep in mind that the Pill XL is 100 bucks more expensive. I did some basic frequency measurements as well. Here is the in-room response from 50cm at different volume settings smoothed with 1/6 octave. 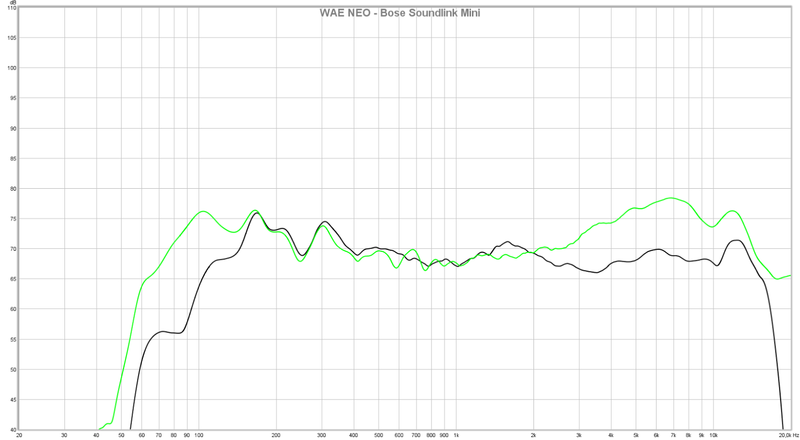 As you can see the WAE NEO sounds equal at low and high volume, although it starts to reduce bass slightly at maximum volume, this reduction is not really noticeable. There is some bass response down to 60Hz, but in reality it already starts to roll off below 120Hz. In the next graph you can see both WAE NEO (in black) and Pill XL (in blue) at a lower volume setting and at maximum volume for both. Although the Pill XL is not a really powerful sounding speaker, at low levels the bass still reaches deeper than that of the WAE NEO. At high levels the Pill XL starts sounding very harsh with a stronger peak close to 1Khz and stronger bass reduction at the same time. The WAE NEO manages to keep the overall sound level better. The WAE NEO is an interesting speaker for sure. 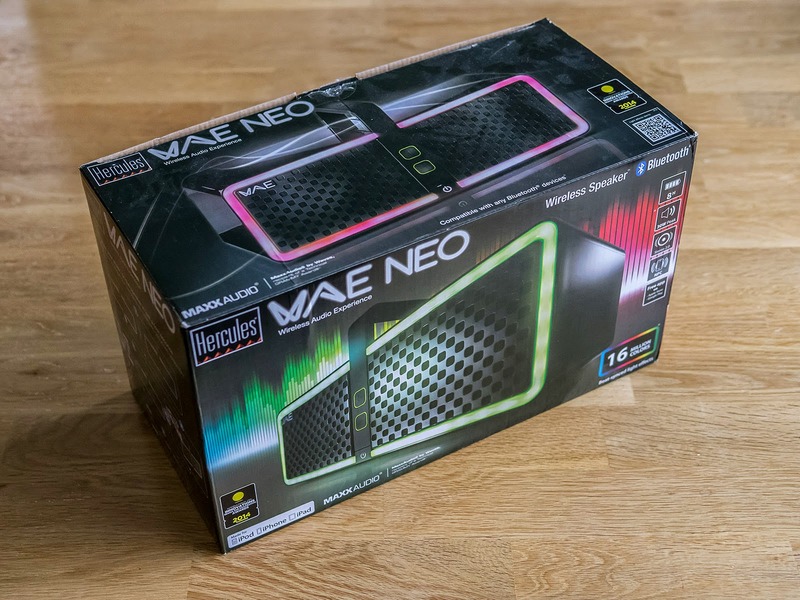 If you like blinking lights and loud powerful sound without having to spend a fortune, the WAE NEO might do the trick. 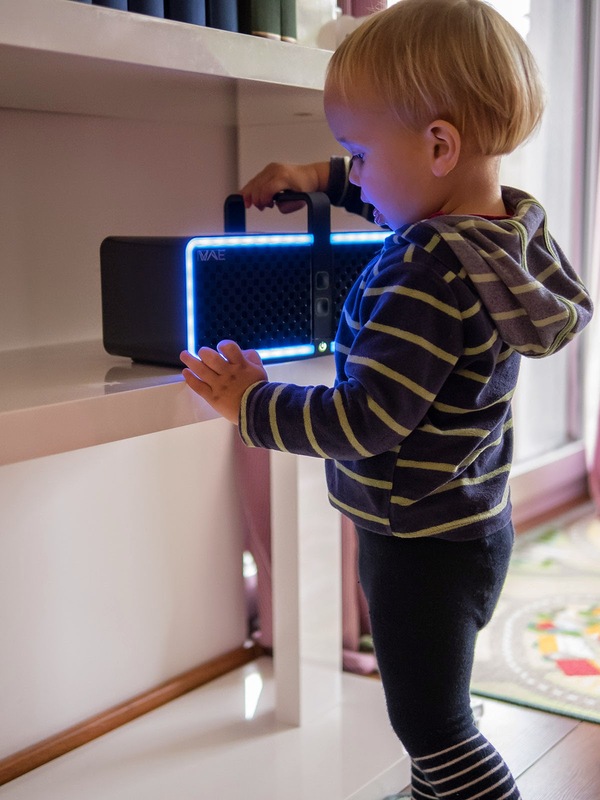 For home use and soft background listening the WAE NEO is not the best choice, but take it outside and crank it to the max and it will "shine" easily outperforming most other portable and even more expensive solutions. The WAE NEO might just be not as portable as all the others as it is considerably larger. To make the experience close to perfect the WAE NEO would need some finer tuning at lower levels, of course I would like it to play even louder, but for the asked price you cannot have it all. 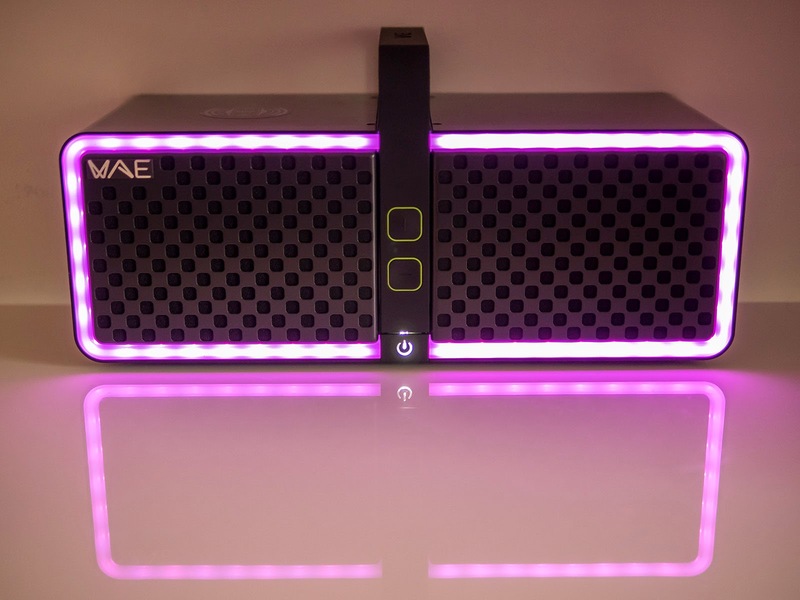 If you need a funky portable party machine with decent battery life and some nifty lighting effects, you should have a closer look at the WAE NEO, just don't expect any highend audio experience and keep in mind the larger size of the speaker compared to many contenders. 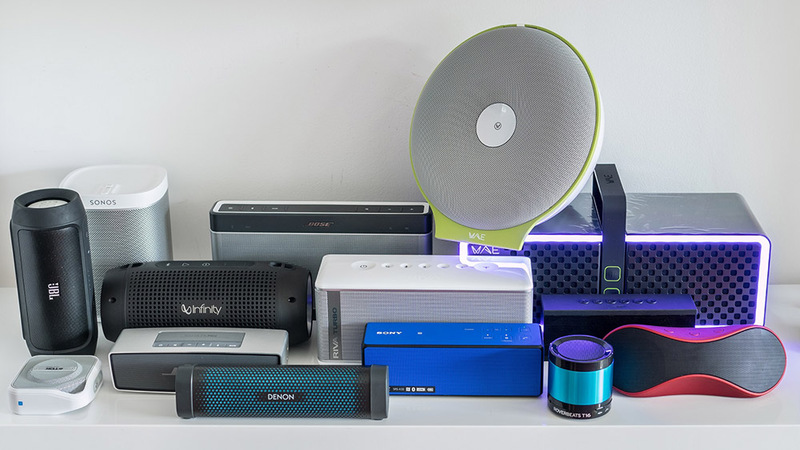 If you don't need all those lights, you might have a look at some alternatives as for the same money an old Bose Sounddock Portable or a Soundlink Wireless Music System can often be found on Ebay etc. They are smaller, more portable and with an exchangeable battery but pump out a more serious sound than the WAE NEO regardless of loudness level, you will be just missing the funky lighting effects. 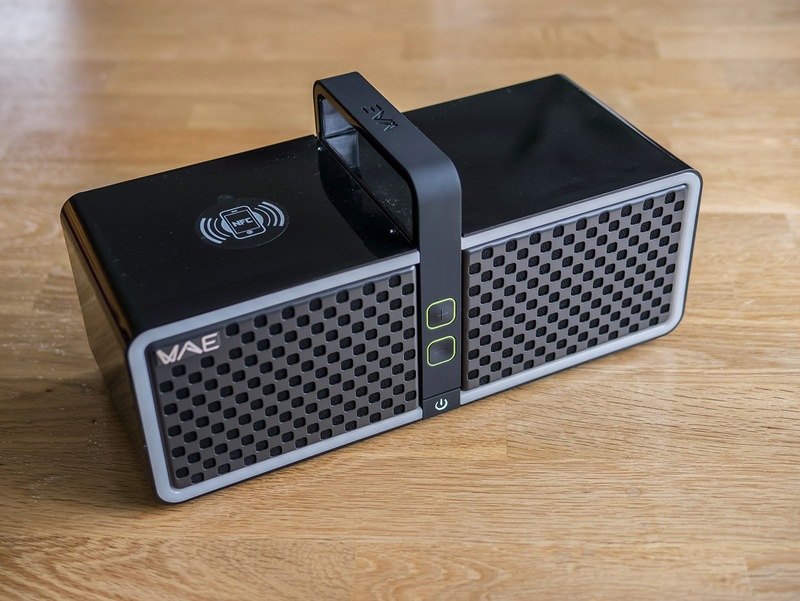 The JVC RV-S1BE is even cheaper, but larger, heavier and needs 10 large batteries for portable use but the possible loudness puts most other portable speakers to shame. A Harman Kardon Onyx Studio costs the same as the WAE NEO and although it doesn't have any lights either it is similarly portable or non portable depending on how you look at it but the Onyx Studio puts out the best sound in this price range of all portable speakers I have heard. Hello! First of all many thanks for all these wonderful reviews and video comparisons. I have always liked the audio devices from a technological perspective and your approach is really detailed and very competent. I would like to ask you to give a look at the Hercules WAE btp05 which looks like the poor twin of the WAE NEO as it does not have the led stripe, the micro-usb charge port on the back (it has a proprietary port) and probably it does not have the same Maxx... plugins. But now it costs 79€ on Amazon.. and a week ago I could take one at 39€ from Amazon.it. If it sounds like the NEO then this would be the most affordable decent BT speaker out there! I own an Envaya Mini (bought after have listened at your youtube video comparisons and reviews). What I can say is that the btp05 does not sound as crystal clear as the Envaya Mini but it sounds much fuller and mature. When passing from listening the btp05 to the Envaya mini I feel like on the Envaya there is some surround effect coming in (the Maxx.. plugins?) and obviously there is a more subtle bass response. I would really appreciate if you could compare the btp05 with the NEO and I am sure that many of your followers would be happy to know how good could sound a 79€ (or cheaper) speaker like this. I think they are completely different except some design similarities. The BTP05 ich considerably smaller. I have a WAE NEO (brand new just tested if it works with the original protection foil still on) for 100€. Let me know if you are interested. I think you are mistaking the btp05 with the btp03. News: B&O vs. B&W - fight!